← ‘Chicken’ Lo Mein Recipe: Vegetarian and easily made Vegan! Better Homes and Gardens Wax Warmer Lit: This is one of the Christmas Limited Edition warmers. Another non-beauty related post! 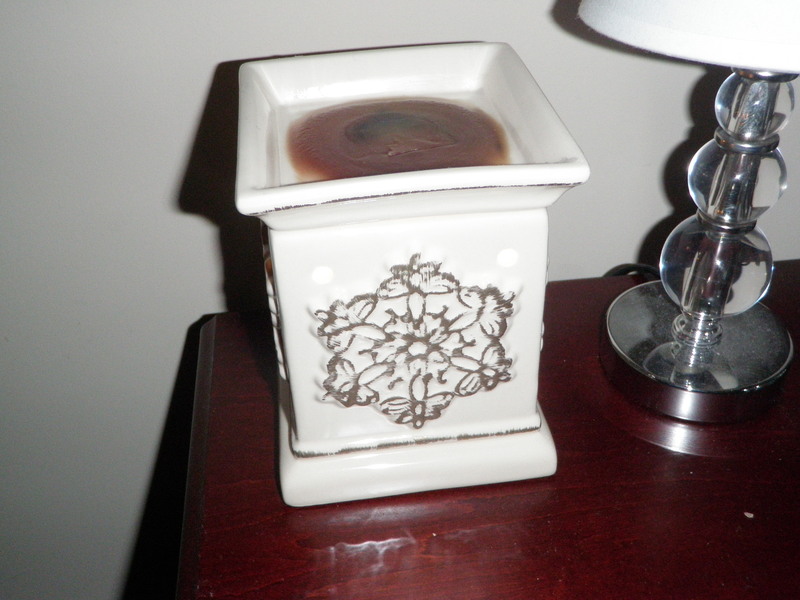 The item I’m reviewing today is the Better Homes and Gardens Wax Warmer and I love it so much that I felt it deserved space on my blog. I love filling my home with fragrance but I also need the ability to control the amount of fragrance is dispersed. This works perfectly for that! 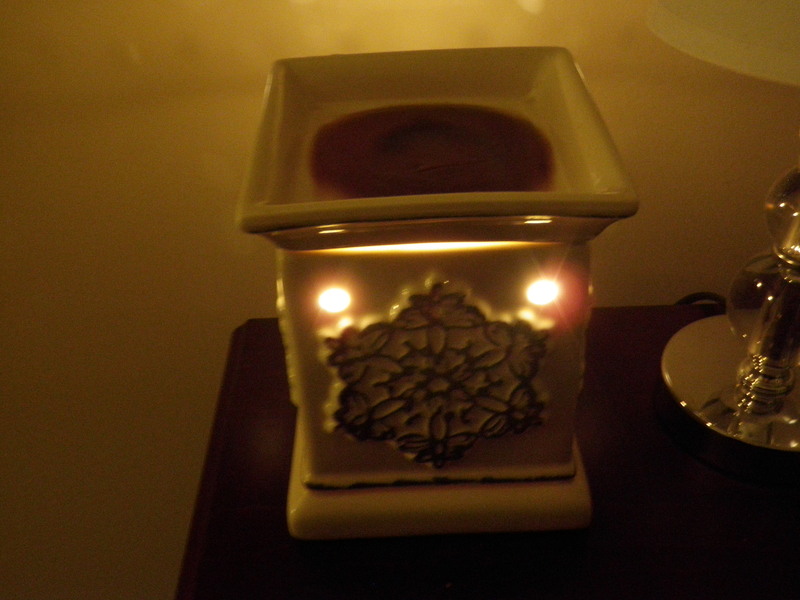 Basically, this wax warmer is a new take on the old Tart warmers with a tea light candle below the wax. Read on for more……. The warmer has a lightbulb below the melting plate and it’s what actually melts the wax. I LOVE this because there isn’t the danger or burning your house down with the tea light. You place the wax cubes on the melting plate and turn on the bulb to melt it. Here’s the cool thing about that: you can melt one cube, two, or three depending on how much scent you want in your house. The burner not only smells nice but it looks very pretty as well. Easy to control how much fragrance is produced. As you can see, there is very little I don’t like about this and so much I do love about it. I would suggest going to Wal-Mart to check these out if you love your home to smell nice like I do! There are tons of seasonal scents right now such as Evergreen Winter Forest and Pumpkin Spice. I don’t know if the “Christmas” scents will be permanent or not, so buy them if you like them. 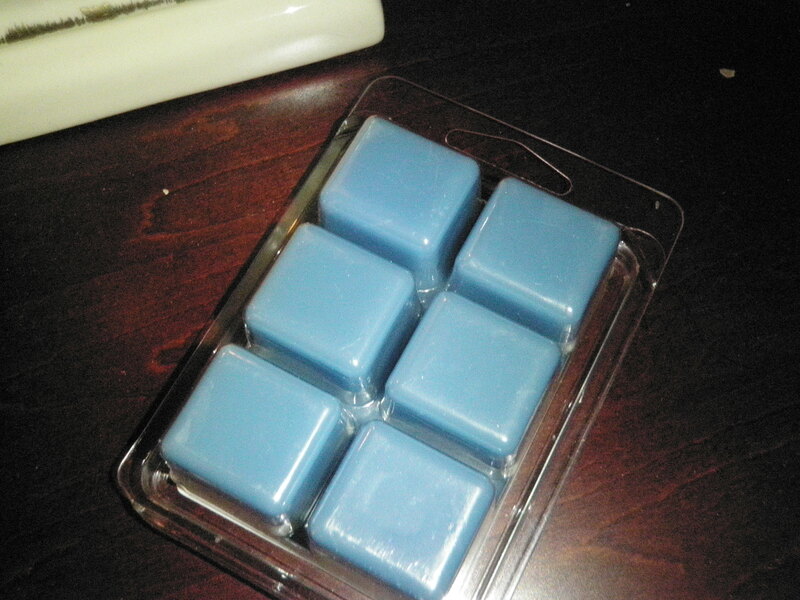 I love how, at only $2.00 for each wax brick, I can buy tons of them and switch them out frequently. As you can see from my picture, the Limited Edition Christmas warmer I got could be used all year round since it doesn’t scream “Christmas!”. So, I definately recommend you checking out both the permanent selection and the seasonal selection. I love this thing so much, I have two!! Picture of the Wamer with the lights and Flash on. You can see that I’m burning a fragrance above – Vanilla Cinnamon. Wax Cubes for the Warmer: This is another seasonal – holiday sleigh ride. Back of packaging for the Wax Cubes. You can see there are six cubes here and I tend to only burn one at a time, so considering that, $2.00 is a great value for 6. 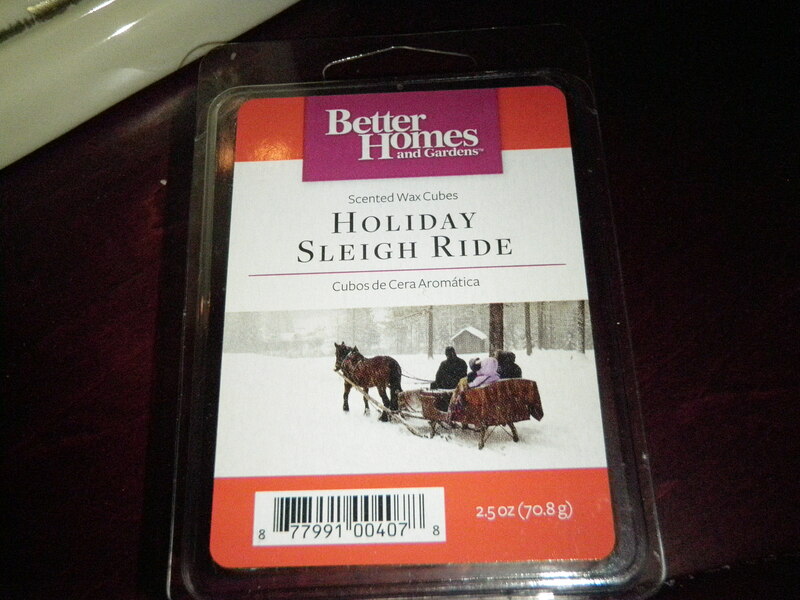 Posted on December 7, 2011, in Non-Beauty Related, Reviews and tagged and gardens, better, candle, homes, scent cubes, scentsy dupe, wal-mart, warmer, wax, wickless. Bookmark the permalink. Leave a comment.